If you’ve lived in Lahore long enough, you’ll know who Mian Yousaf Salahuddin is. 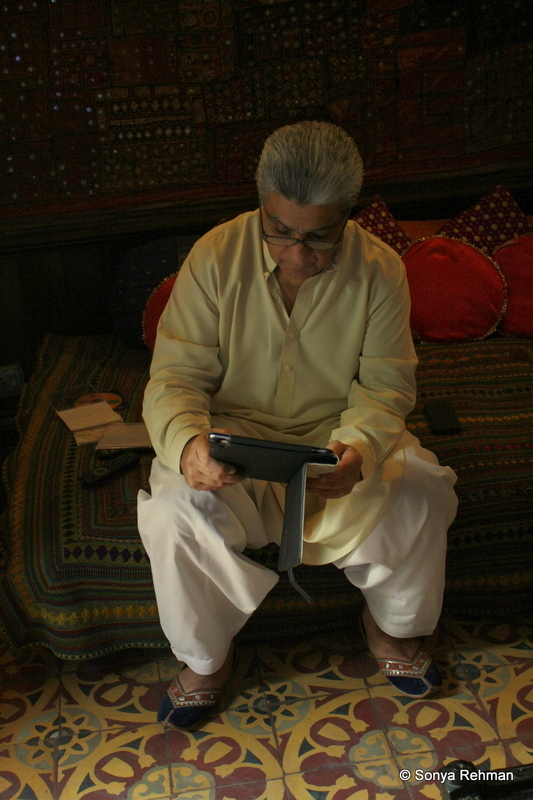 Commonly known as Yousaf Salli, Salahuddin is perhaps best known for his quaint haveli in the Old City, Haveli Barood Khana, which has seen political figures, journalists, writers, local and foreign celebrities; popular TV and movie personalities, singers, models and others – in the public spotlight – frequenting its space over the years. 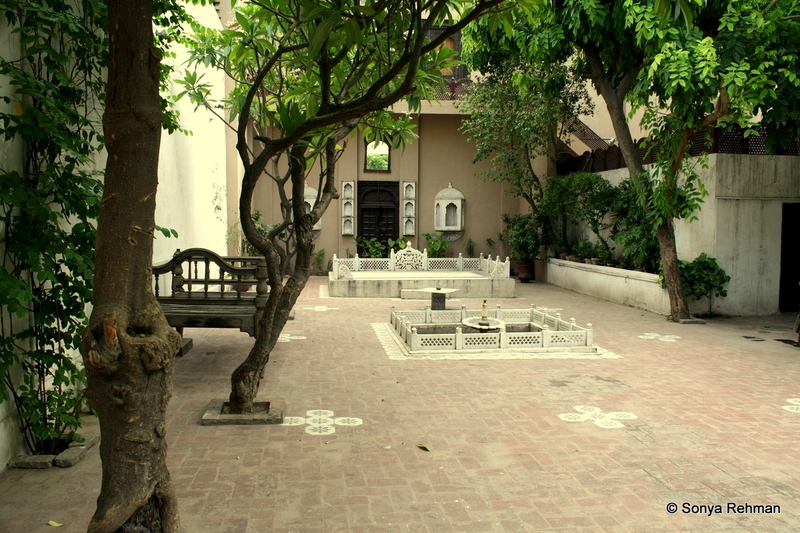 The haveli’s popularity and recognition also stems from the fact that it has been used as a set for televised interviews, drama serials, music video shoots, parties, evening gigs, and so on. But Salahuddin is not just known within the city (and outside) as an immense supporter of the arts, in addition to being a socialite; he is also known as the grandson of Allama Muhammad Iqbal – the celebrated scholar and poet of the subcontinent. Currently in the midst of shooting an adapted version of Waris Shah’s ‘Heer Ranjha’ for PTV, Salahuddin speaks earnestly about his project. Standing as the drama serial’s Head of Project and Executive Producer, Salahuddin states that the project has been a labour of love for both himself and his team. Everything from the cast’s apparel and jewelry to the shoot locations – the team has striven hard to make the drama serial as accurate and as authentic as possible. Having roped in a Bollywood great such as Naseeruddin Shah to be a part of the serial vis-à-vis the drama’s voice-overs, Salahuddin couldn’t have picked a better artist. 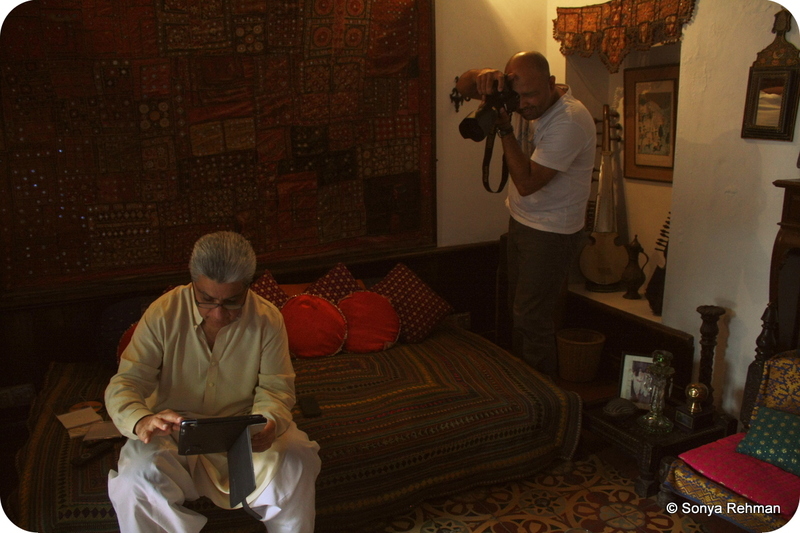 On his iPhone he plays a small clip of Shah’s voice-over: it is rich, the timber of Shah’s voice sets the pace for the story that is to unfold. Salahuddin emphasizes the importance of having a strong soundtrack for the serial too – and interestingly, he has collaborated with well-known Rahat Fateh Ali Khan and Sahir Ali Bagga for the drama’s music score. Seated in a room within his haveli, Salahuddin turns up the volume of his TV set several notches high, as he begins showing me a few recorded songs from the musical drama. One song, in particular, is beautiful – everything from the visuals to the song’s composition and arrangement. Featuring a new, cute-as-a-button actress (who plays the role of Heer in the production); the song depicts an open field, thick, leafy trees, fresh mangoes, colourful dupattas, light dancing and Eastern eyes. 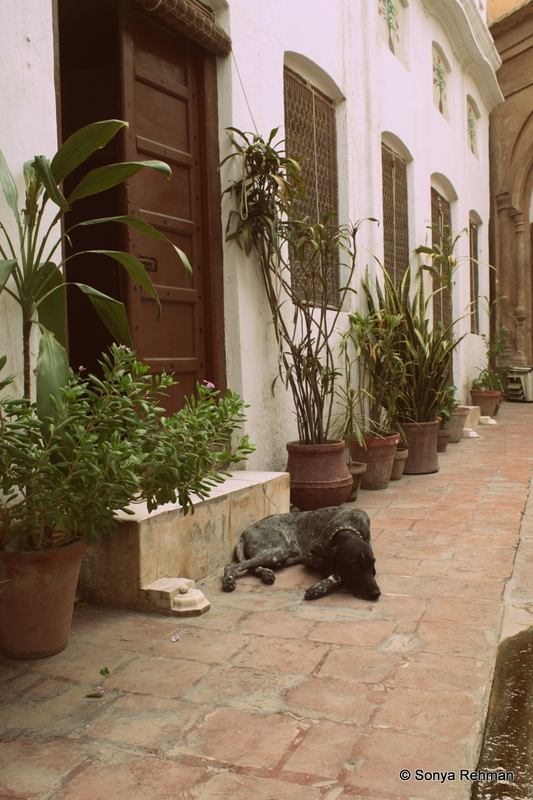 “I don’t think copying the West makes one any classier,” states Salahuddin regarding local culture and where it stands. Citing the example of India, he mentions that culture has fast-faded across the border. However, Pakistan isn’t very far behind either. Stating that his current production, just as his past projects, is a step in the direction of keeping alive local culture, Salahuddin reveals that he plans to produce a serial on his grandfather – Iqbal in the near future. 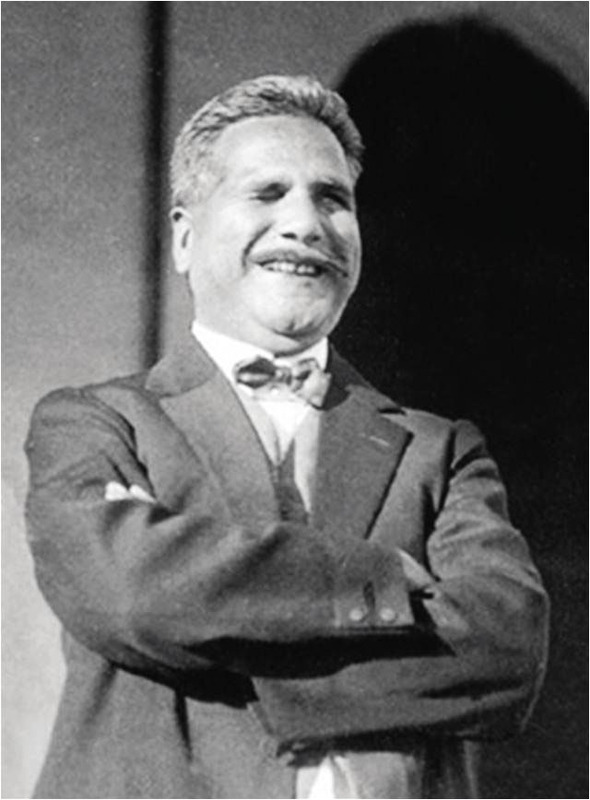 “If there’s one particular belief of Iqbal’s that I Identify with, it is the belief of the self, where a man is judged not by his background or lineage, but by what he achieves in life. 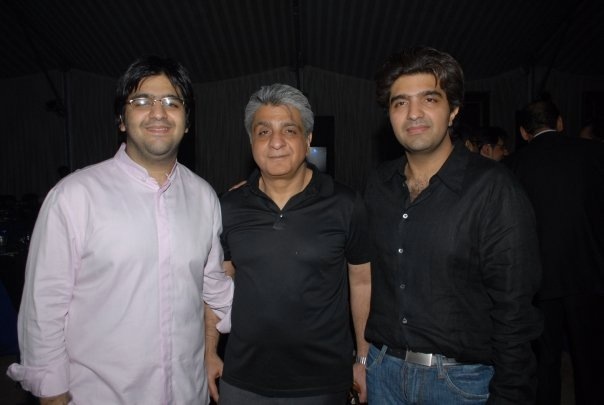 I’ve always admired an individual’s personal achievement,” states Jalal Salahuddin, Salahuddin’s eldest son who runs the event management company, J&S in Lahore. With his current undertaking, adapting the tragic, romantic story of ‘Heer Ranjha’ for local audiences, Salahuddin seems to be moving in the right direction as far as the endorsement of Pakistani art and culture is concerned. 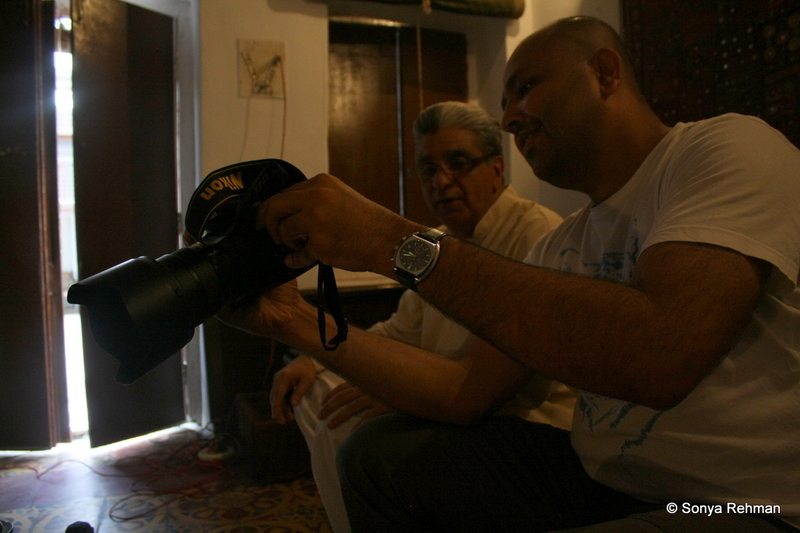 And while Bollywood has had, and is continuing to have a great impact on Pakistan’s entertainment industry – diluting it in the process – one hopes that those closely associated with the arts in the country, continue funding, supporting and producing works which aid in retaining Pakistan’s heritage for the current and future generations to enjoy, and never lose sight of. Any current contact for Mian Salahuddine?